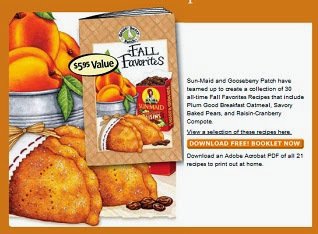 Sunmaid and Gooseberry Patch have teamed up to create a free collection of 30 all-time Fall Favourites Recipes that include Plum Good Breakfast Oatmeal, Savory Baked Pears and Raisin-Cranberry Compote. Filling out form after form can be quite tedious. To make this process faster, you can use autofill software. Autofill software remembers information such as your name and address and automatically fills in the blanks for you on forms. Roboform is a great free autofill software download.